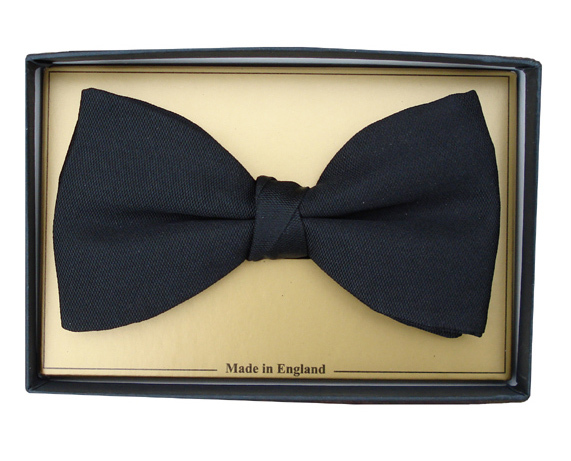 These superb quality pre-tied black Bow Ties are made in England to a very high standard from 100% Barathea Silk. The tie comes in a smart is presentation box, so is ideal as a gift or just to treat yourself! I have just taken delivery of the replacement bow ties and I ..